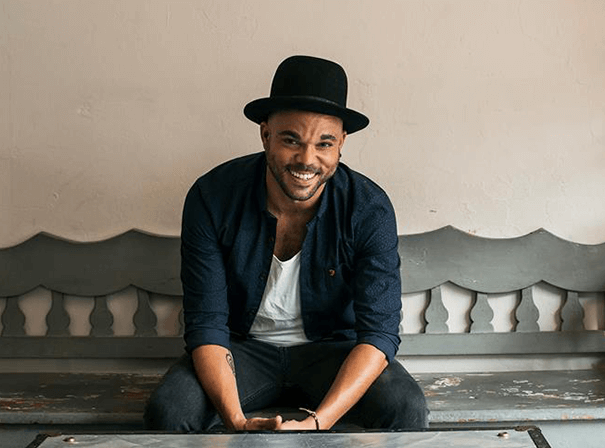 In the amazing years since he sprung to the critic’s attention with his debut ‘Set The Tone’, London’s Nate James has risen to become one of the most successful independent recording artists around the world. The album, heavily influenced by the classic soul artists Marvin Gaye and Stevie Wonder, helped earn Nate two MOBO nominations for Best Newcomer and Best R&B Artist and another nomination for Best UK Male a year later. In November 2007 he was crowned Best Soul artist at the Kickers Urban Music Awards, following on from his Italian Festivalbar award for Best International act in 2006, and his second album Kingdom Falls (described by critics as ‘fantastic’, ‘glorious’, ‘a masterpiece’ and ‘lush & masterful’) was also nominated at the UMAs for Best Album. Nate’s live following has continued to grow around the world thanks headline gigs at places like the Indigo O2 Switzerland’s AVO Sessions in Basel. Nate has sold an amazing 400,000 albums and appeared on over 500,000 compilations and has had massive airplay hits in Europe & Japan including ‘Universal’ (Top 3 Japan) and ‘The Message’ (Top 5 Europe). Also Nate has previously team up with Manchester based DJ duo HeavyFeet to create ‘Back Foot’, one of the hits of the summer, and is also a member of the soul and funk 3 piece SugaSmak. So, too, has he collaborated with Mark Hill, Johnny Douglas, Danny S and others, as well as running his own self-funded Frofunk label.